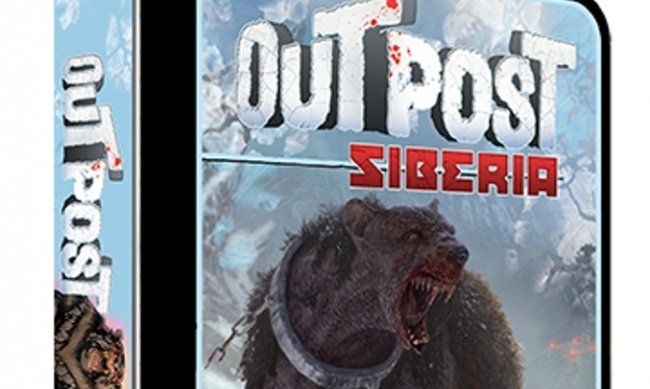 IDW Games is launching a series of cooperative survival horror card games with Outpost: Siberia in August. 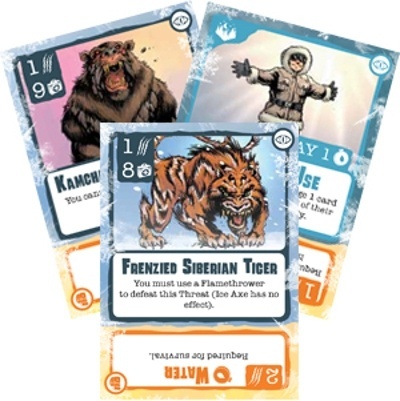 Designed by Jonathan Gilmour (co-designer on Dead of Winter, Vault Wars) and Daryl Andrews (co-designer of Sagrada, Fantasy Fantasy Baseball), the game casts players in the roles of specialized researchers with unique abilities, who must pool their resources as Events and Threats are revealed from the Expedition deck. Players will draw cards from the Outpost deck, and either hang on to them, or stash them in a communal supply. Players must strategize as new Threats are revealed, and make tough choices so the group survives. MSRP is $19.99. 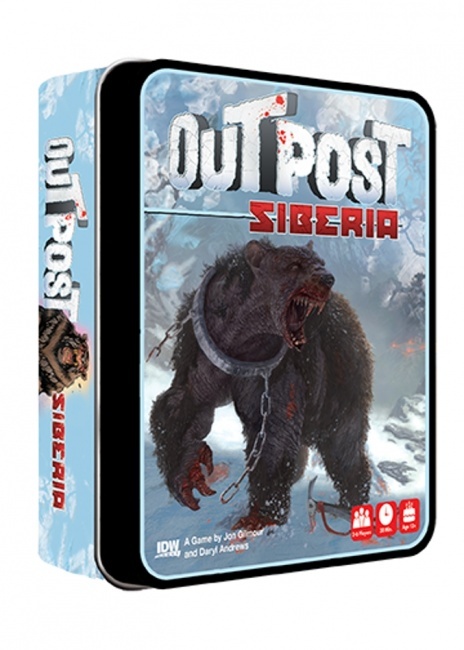 Outpost: Siberia is the first of four planned stand-alone survival horror games, each set at a unique location. Each game is packaged in a collectible tin. IDW has announced several games for release later this year (see “'Torres,' 'Seikatsu,' 'Rayguns and Rocketships'” and “Film Classic 'Planet of the Apes' Comes to Tabletop”).